Only VFIS and GCA clients may order this product. Instructor manual for our EVDT kit. Driving an emergency vehicle is a privilege and a position of responsibility. The responsibility of properly training your emergency and non-emergency vehicle operators is tremendous. 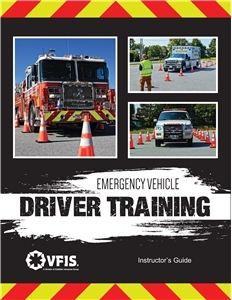 Participants in this course will have the opportunity to gain and/or verify a broad range of competencies associated with emergency vehicle driving. These competencies include basic understanding of emergency vehicle operations as well as the skills necessary for practical application.